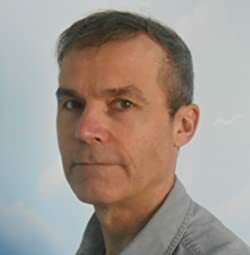 Lindsay Brambles was born in Ottawa, Canada in 1959 and has lived and traveled in Pakistan, Iran, Tanzania, England, Greece, France, and Kenya. After grade three, his formal education was largely through the Ontario Ministry of Education correspondence course–with infrequent forays into traditional schools. He has spent most of his post-academic life in a variety of unrelated jobs, ranging from construction to childcare, all while pursuing a vocation as an artist. Besides writing and painting, Lindsay enjoys cycling, hiking, cross-country skiing, weight-lifting, reading, collecting Gold Key comics and motion picture soundtracks (scores), tinkering with computers, and just about anything that will expand his awareness of the world around him. Passionate about all science, he is especially interested in astronomy, cosmology, and quantum mechanics. 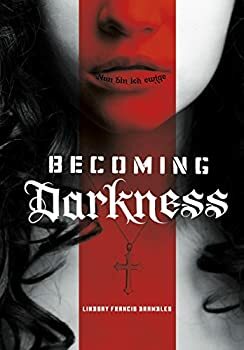 Becoming Darkness is the first of the HAVEN trilogy by debut author Lindsay Francis Brambles, a YA horror series which asks “What if the Nazis won WWII?” with the added twist of a global vampirism plague. It’s mostly quite good, with allusions to literary predecessors like Bram Stoker’s Dracula, and layers of complicity in nearly a century’s-worth of conspiracies. The overall concept is interesting and the narrative flows well, and many of the characters are engaging.